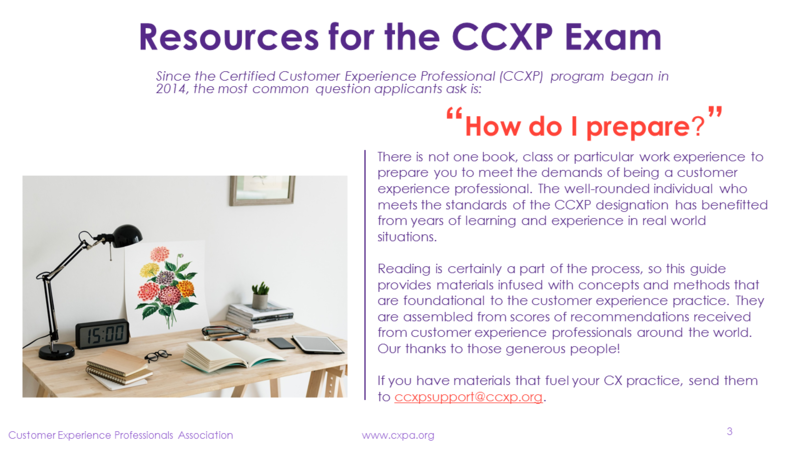 The CXPA is pleased to announce the release of the CCXP Exam Resources. 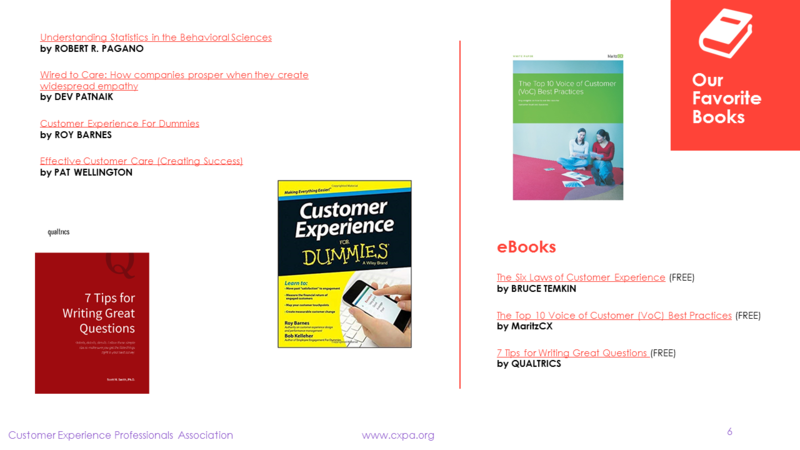 These resources have been compiled by the CCXP Advisory Committee to reflect a sample of literature that is aligned with the CCXP Exam Blueprint and would be useful in preparing to be a CX Professional or preparing to earn the CCXP designation. 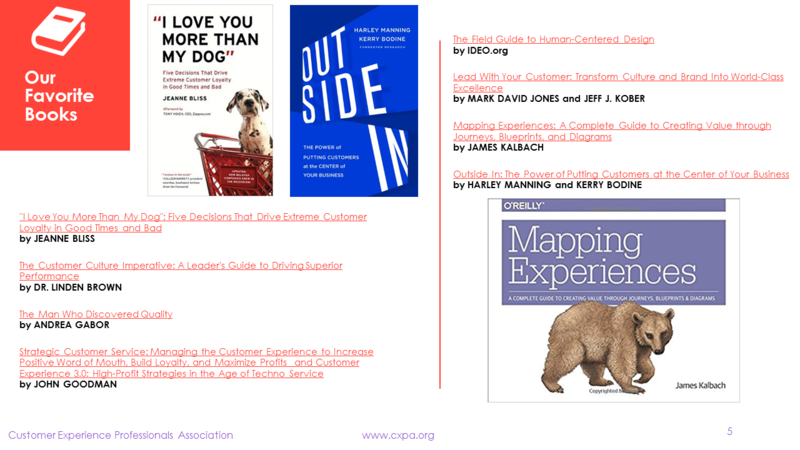 The document is reviewed periodically and resources will be updated as necessary. 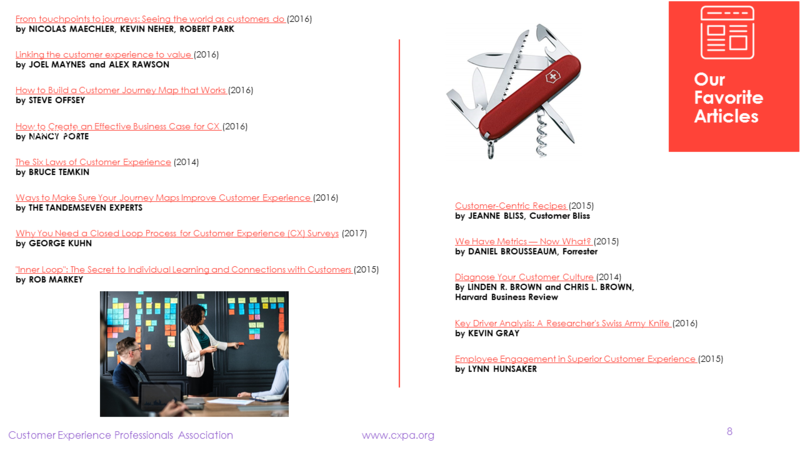 In addition to these resources, CCXP exam items can be referenced to any CXPA-curated knowledge — defined as information published or disseminated by CXPA, such as webinars, whitepapers, and member-curated content listed in the CX Toolbox or Member Resources. 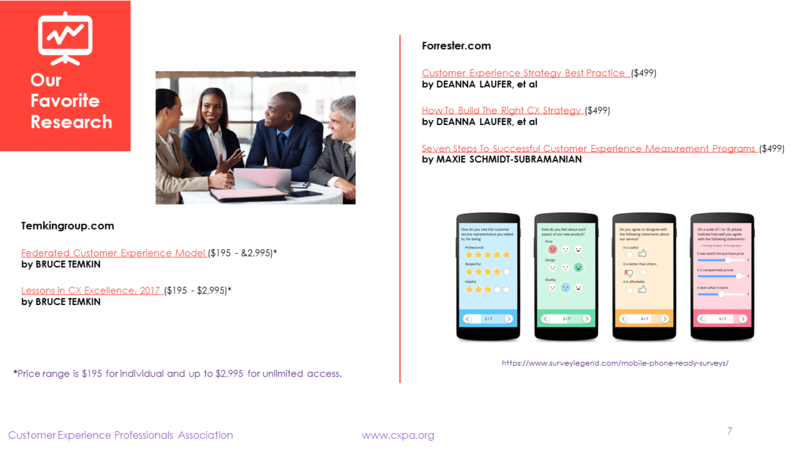 And don't forget to check out the Exam Blueprint for more information on knowledge, skills, and abilities you'll need to be a well-rounded CX professional.